Doing this task will taking lots of efforts as you needs to go on every page one by one and check If there Is any JS error. So we need some automated solution which can help us to ease our task. 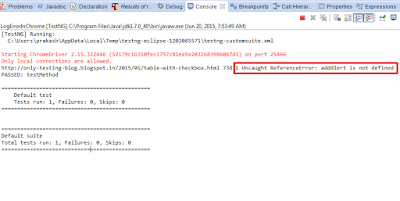 We will use logger Interface to collect error from page as described In bellow given example. It will collect Java Script Errors from web page and print errors In console. 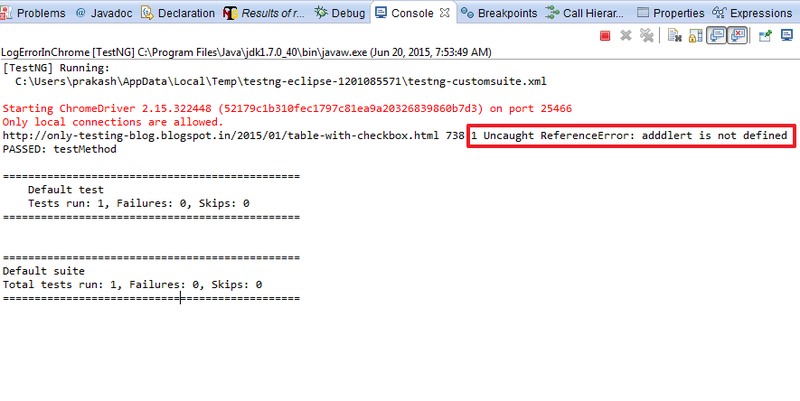 Execute bellow given example In eclipse and check result. // Function to capture JSError log. // Capture all JSerrors and print In console. // Call GetJSErrosLog() to log and print JSErrors In console. Console result of above example will looks like bellow.